It is late in the evening of 11th August 2016, on the far side of the rugby world. Englishman Ben Ryan swells with pride as he is hoisted aloft on the shoulders of his Fijian players in the gathering dusk at the Deodoro stadium in Rio de Janeiro. They have just won Olympic Gold, the first medals of any kind won by Fijian sportsmen or women at the Olympic Games. Moments earlier, they had set another precedent, one by one sinking to their knees to receive their medals from Her Royal Highness Princess Anne at the awards ceremony. 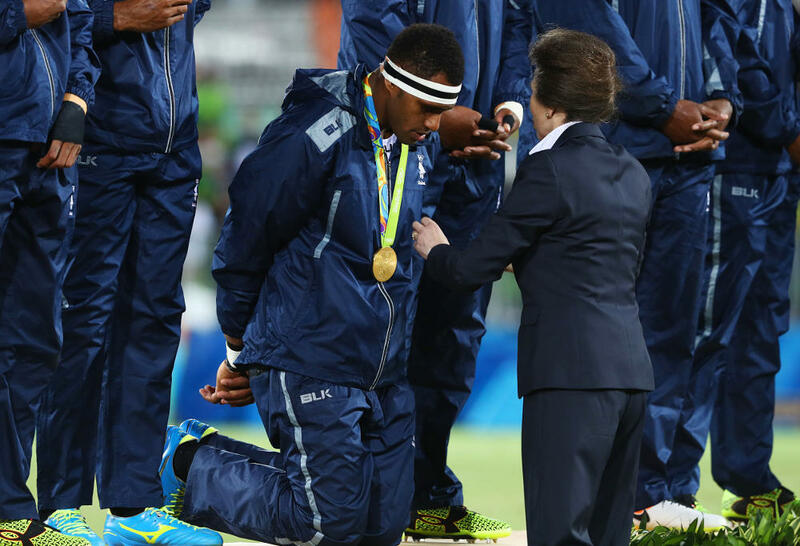 It is a simple, humble act that epitomises the Fijian spirit. It is bula – hello, goodbye, a blessing given or received. It is the simplicity of life, warmly-embraced on its own terms. 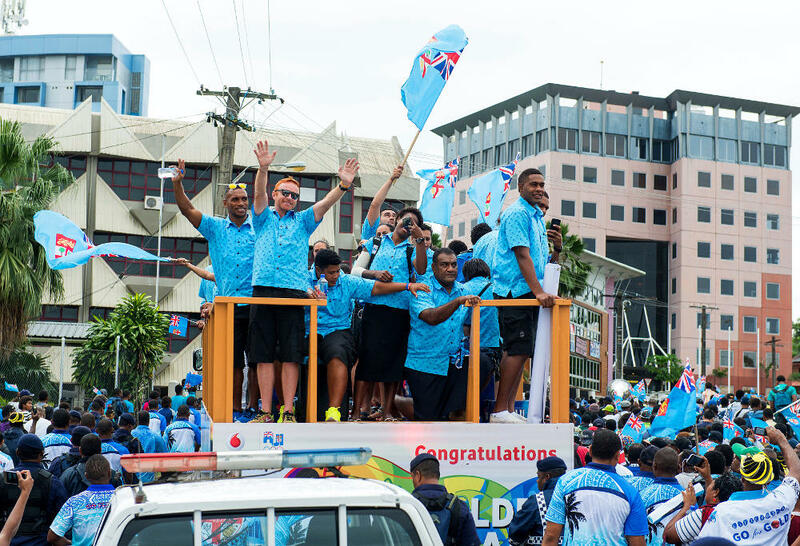 When he was appointed coach of the Fijian Sevens rugby team back in September 2013, red-headed Cambridge University graduate Ryan did not realise how much the truth of that spirit would be reinforced over the course of the next three years. Already the successful coach of a heavily-subsidised England Sevens side, after interview Ryan was given twenty minutes to decide whether he wanted the new role, with no guarantees about contract or salary. He said yes to the unknown. Ryan understood he would not be paid for the first few months of his tenure by the Fiji National Sports Commission. The IRB was withholding its grant of $1.75m to the Fiji Rugby Union pending a review over alleged financial mismanagement. Ryan accepted the situation as it presented itself, knowing that if he insisted on payment, it would lead to the laying off of other workers in the FRU administrative offices. That strained beginning provided a pause for thought. The days of central contracts, of conditioners and nutritionists, of psychologists and analysts and the laboratory testing of micro-gains in preparation, were long gone. The present was brusque, uncertain, and stripped back to the bone. On an island where the reported GDP per head is only $9,000 per annum, Fijian rugby players roam the world to sustain themselves and their families financially. They are spread to all points of the compass. They frequently take up school scholarships in New Zealand in their teens, or later in their careers play in the French leagues all the way from the Top 14 (premier division) down to the amateur fourth division (Federale 2). More often than not, they do not understand the contracts they are signing, especially when they are only delivered in French, but they are too polite to decline the invitation. Almost immediately upon his appointment as head coach, Ryan found a majority of his top players playing in a sevens tournament in Sri Lanka, where they could earn $500 per day for a fortnight’s work – or “almost a year’s salary in two weeks”, as Ryan put it. It is a pattern which is not likely to change in the near future, even after Fiji’s success at the Rio Games. At the Cape Town Sevens in December 2016, Ryan tweeted that team sponsorships had been lost, and the Fijian players were all off contract having been left unpaid for three months after their historic triumph. But that startling naiveté, and the economic uncertainty underpinning Fijian rugby, is also the flipside to its endearing simplicity. “Other teams are more developed, have more money, have more back-up, have more things in every category except that ability and that heart, that nation behind them. A lot of other teams can say that they are doing it for their country but this is actually the case here. Everybody on the island is behind this team, it’s a unique situation”. Out of the 180,000 males between the ages of 14 and 40 listed in the CIA World Factbook, 155,000 are considered to be rugby players by the governing body, World Rugby! The game of rugby is omnipresent in Fiji. Ryan said he could drive the fifty miles from his home in Navua to the FRU’s offices in Suva and watch a game of sevens igniting spontaneously – played barefoot on pitches marked only by trees, with maybe a plastic bottle filled with sand or coconut for a ball – for every single one of the miles he travelled. Sometimes he would even find one of his elite squad players participating in a local village match just for the fun of it. “They can’t stop playing; they love it and it is a central part of culture in the villages. You’ll see sevens everywhere, most of the time being played on uneven surfaces, and very rarely with an actual rugby ball… It’s unstructured structured, so a player’s overall game awareness is of an incredibly high level. In other words, Fijian players are acclimatised by their culture to function in exactly the ‘chaotic’ environments that many top coaches (like England’s Eddie Jones and Scotland’s Gregor Townsend) now like to cultivate artificially in their training sessions. It is neat reversal which explains why Fijian talents are so highly valued in both hemispheres. Indeed, it’s becoming well-nigh impossible to imagine a French Top 14 side without at least one Pacific Islander in its back three! There is a true sense of a ‘return to origin’ in Fiji’s sevens philosophy which predates both the structured European attitude to rugby, and its tendency to colonise the world outside it with its own narrow rules. That philosophy is now ironically being seen as the more progressive approach in both forms of the game – even by coaches who have previously been noted for their prescriptive coaching style, like Jones. The wheel is slowly turning full circle. The climb toward Rio was punctuated by one other important staging post, the Hong Kong Sevens in April 2016. 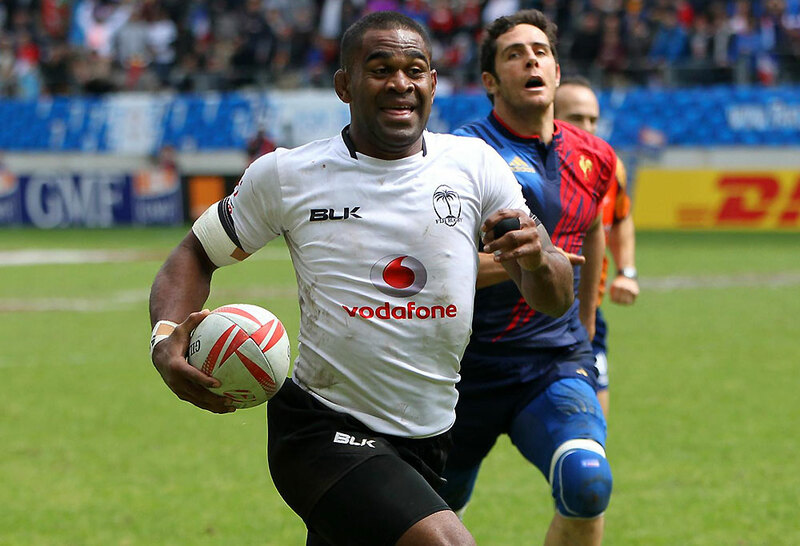 Hong Kong remains the touchstone for all serious sevens aspirants, and Fiji have won the competition on 17 occasions, six times more than the next best team, New Zealand. The first landmark sevens tournament of the modern era had been launched in Hong Kong back in 1976. Although the Fijians didn’t win the inaugural event, they won it for the following three years and were branded ‘the fantastic Fijians’ by Jock Campbell, promotions manager of the original tournament sponsors, Cathay Pacific. Both they and the tournament were ‘here to stay’, as Campbell rightly said. With the help of the organisational graft added by Ben Ryan, Fiji Sevens has reached the ultimate summit, one which previously only massive preparation time and financial resources had been permitted to conquer. For one or two priceless hours after the game had finished, ‘Fiji’ was the highest-rated search topic on Google. 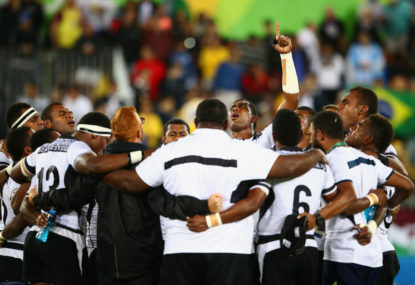 There is a lesson for the game as a whole in the simplicity of the Fijian approach, in their receptiveness to chaos on and off the field, and in their connection with the larger community. “For me, the simple life is the beautiful life, and that transfers out on to the field. My leadership is a simple style, it’s the obvious and it’s about team-ship and loyalty. You don’t need a software program or a sports scientist to tell you that and we’ve proven it as a team – that having a simple framework and simple practices can get you to the top of the game, keep you there and push the boundaries. “Everybody’s watching at home. If you don’t make that pass, or give it that energy, they all see it. If you don’t get up, everybody sees it. “They don’t care if we haven’t got any money or if we’re playing teams that are fully professional and working day-to-day together and have planned and plotted to beat us for years while we’re scrambling a team together… It makes no difference to the Fijian public. After the Olympics were over and the dust cleared, Ben Ryan was made a Companion of the Order of Fiji, he became chief of Serua (his home province) and he was granted three acres of Matagali land, land which he can never now sell to anyone else. It is unlikely that he would ever wish to do so, as the Fijian bula has already become a part of him. That is where Ben Ryan will always stand for the remainder of his rugby life, on the cusp of ‘Hello and Goodbye’, and looking out at the ocean beyond his home. Experience the best of rugby sevens’ finest nation with a holiday to Fiji and discover why everyone can’t get enough of the stunning country which has dominated the seven-player game. Check out Tourism Fiji for more details.